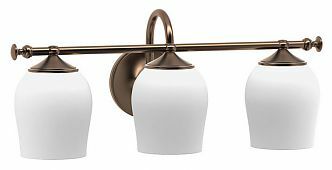 The Tavern sconces encompasses the decorative details of a nostalgic aura, yet adds the necessary finesse to create a modern-day motif. A perfect addition for today’s stylish bathroom. Requires three medium base light bulb (100 watt maximum). UL Listed. Note: This product is also known as GAT-1628, GAT1628 on other websites.